New York, USA, 22 February 2019 – The world’s shift away from carbon-based energies in favour of renewable or green energy threatens to turn fossil-fuel-rich economies into “stranded nations” unable to realize the economic value of their carbon wealth. The world’s sovereign wealth funds, which collectively own $8 trillion in assets but currently invest just 0.19% of this figure in green energy, have a powerful role to play in helping governments implement policies and investments to prepare for this transition. These are the findings of a World Economic Forum white paper, Thinking Strategically: Using Resource Revenues to Invest in a Sustainable Future, published today. According to the report, economies where the value of the carbon wealth outweighs the value of human capital or financial assets are particularly vulnerable to the energy transition. This applies to more than a dozen countries that remain heavily dependent on fossil-fuel resources. The report goes further by saying that economies that have over 10% of their total wealth based in carbon assets could become “stranded” and must act now to develop the human capital and economic diversification to thrive in a world that is less dependent on carbon energies. Adding urgency, the report points out, is that the shift to green energy is likely to occur sooner than expected. Estimates predict between two-thirds to three-fourths of energy will come from green sources by 2050. These estimates are much higher than a decade ago, when just 15% of energy was expected to be green by 2050. This means countries with high carbon wealth may have even less time than anticipated to avoid being stranded as the pace of the green energy shift continues to beat predictions. While it is true that some fossil-fuel-dependent countries have already begun to diversify their economies and increase investment in human capital in preparation for impending energy changes, such changes are rarely adequate for the size and speed of these economic shifts, the report finds. Sovereign wealth funds, as some of the largest investors in the world, have been an extraordinarily powerful tool for stabilizing resource-rich economies and securing wealth for future generations. By closely aligning their private investment acumen with public policy under a “strategic mandate”, these funds can deliver even more value to society. This can be achieved by adopting a “strategic investment fund” model whereby funds act as an additional tool for policy-makers to support local development goals. The potential for sovereign wealth funds to play a transformational role in driving diversification and sustainable growth is underpinned by the number of new funds that have come into existence in recent times. In 2000, there were just 26 sovereign wealth funds in the world; 10 years later, 57 existed; and today, more than 75 sovereign wealth funds collectively hold over $8 trillion in total assets. 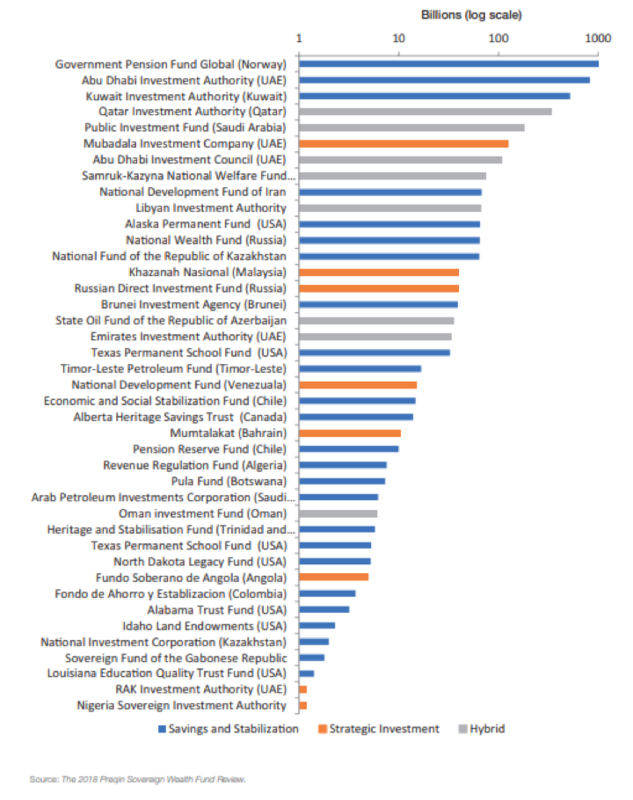 Only one-third of these funds operate under a strategic mandate, yet the report identifies 41 funds from commodity producers with nearly $4 trillion in assets that could do so. As the impacts of climate change, demographic shifts and the transition towards green energy become more acute, economic policy-makers should more aggressively apply the strategic investment model to address these challenges head-on. “Increasing the number ‘strategic investment funds’ is the first step to ensuring economies are prepared for the impending global energy shift,” Eltobgy said. 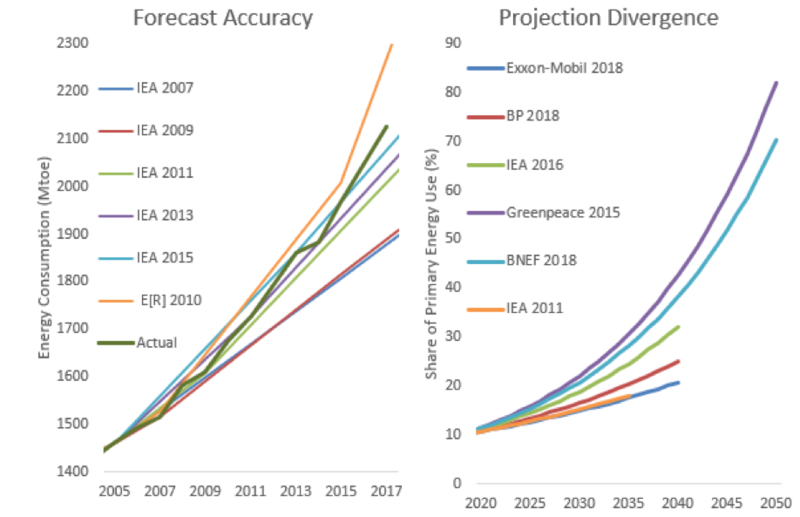 With this change, the authors say, sovereign funds can be more closely integrated with public policy, giving them the ability to actually drive, rather than react, to the global energy transition. Their direct investing approach can create wealth rather than merely manage it, bringing new sources of prosperity while preparing for the challenges of tomorrow.